Inspiring 2017 Toyota Prius technology at Marina del Rey Toyota! Think of 2017 Toyota Prius technology, and you might think of words like modern and inspirational. You’d be right. The Prius has stood for innovation ever since its inception as the world’s first mass-produced hybrid vehicle, so when it comes to driver-centric technology, it’s no surprise that the Prius is filled with inventive features for doing things in new and different ways. So, sit back, relax, and expect great things from new Prius technology here in Southern California. This available high-resolution, seven-inch color touchscreen system centralizes all your favorite apps, plus Integrated Navigation and a premium JBL sound system. What could be easier than simply placing your Qi-compatible smartphone or device on the centrally-located, nonslip wireless charging pad? Key information projects transparently in brilliant color directly to your windshield, so your eyes stay where they should be, on the road. An efficient, intelligent system for controlling heat and air conditioning, so you don’t waste energy. Use only what you need, where you need it. That’s not all. There’s other convenient technology inside the 2017 Toyota Prius that you won’t want to live without. The standard Smart Key System makes fumbling for your keys a distant memory. Unlock and lock the driver’s side with a touch of the door handle, and press one button to start the engine. 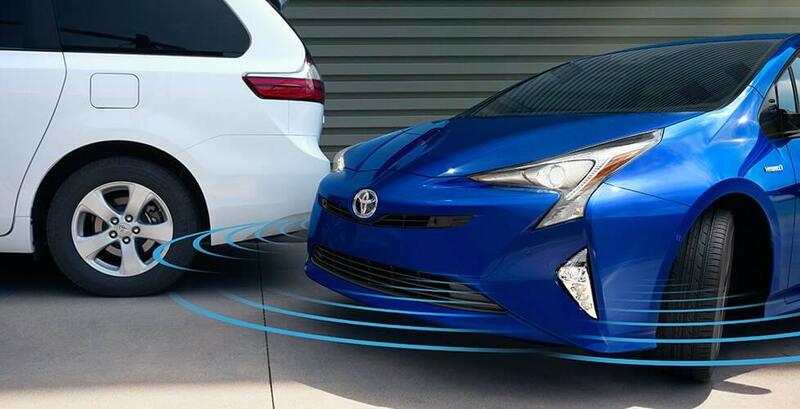 You can also incorporate parking assist features into your Prius. Intelligence Clearance Sonar looks out for stationary objects in your way and sounds an alert and reduces the engine output if you’re about to crash, even applying the brakes if necessary. The Intelligent Parking Assist feature can actually guide you into a tight parking space by taking over the steering. Amazing! Toyota Safety Sense P comes standard on every Prius. This suite of smart technologies includes a Pre-Collision System with Pedestrian Detection, Full-Speed Dynamic Radar Cruise Control, and Lane Departure Alert with Steering Assist. Think of these capabilities as the backseat driver you always wanted! The 2017 Toyota Prius has technology designed to inspire us. Visit Marina del Rey Toyota to find out more and get help with financing. Whether you’re driving through the canyons of Santa Ana, cruising the streets in Culver City, or taking a joyride in Manhattan Beach, the Toyota Prius is the car for you. Contact us today.